A new initiative that sees Canadian designers design and create hospital gowns for young patients at the Children’s Hospital of Eastern Ontario in Canada has been extremely well received. Nobody likes being in a hospital, and these teens spend a lot of time there wearing shapeless, standard-issue, pale-blue hospital gowns. This all changed in May when patients were invited to comb through racks of new gowns in different colours and fabrics featuring designs like camouflage, drawings of animals, lightning bolts, skulls among others. Six Canadian artists including an embroidery designer, a tattoo artist and fashion designers created the unique gowns, and no two looked the same, leaving patients to feel like an individual again with personality and not just a patient in a hospital bed. The project was created by ad agency Rethink Canada in partnership with the Starlight Children’s Foundation. “I was pumped, and now I feel stylish. This is way better than just cookie-cutter everything that you usually see in hospitals. 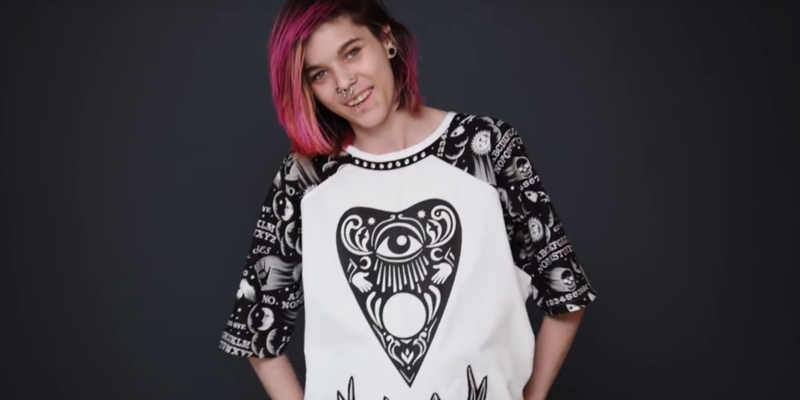 Anything that helps you regain your personality is a great thing in a hospital environment,” one patient said, who chose a gown made by locally-based designer Raegan Hall that was black and white using similar designs to an Ouija board. The gowns donated are the start of a campaign that the foundation and Rethink are hoping to expand to more hospitals across the country and perhaps international both through donations and by convincing designers to donate their time.